The Rainbow Dance Co. Annual Spring Concert is only days away now. Join us at Cary Academy’s Berger Hall this Friday, March 1 at 7:30 PM or Saturday, March 2 at 2:00 PM for this unique performance that celebrates the creative voices found in children, teens and adults! 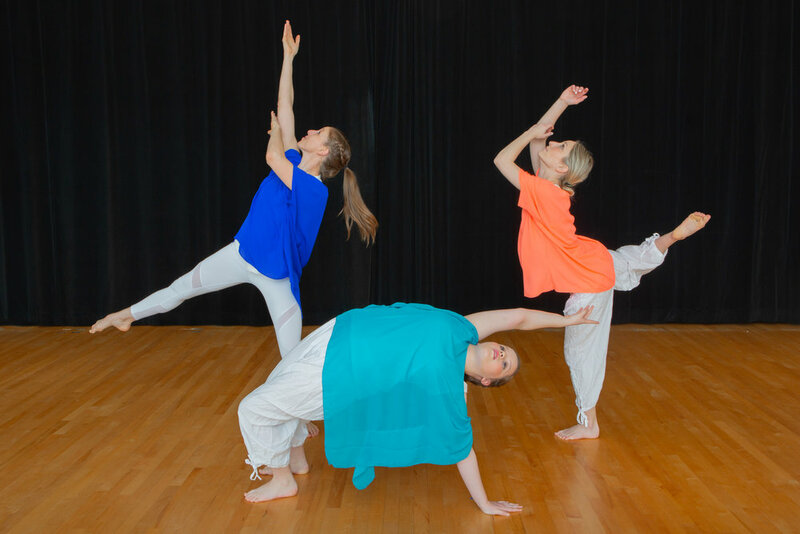 Now in its 39th year, Rainbow Dance Co. was the brainchild of Arts Together founder Lemma Mackie and is the only multi-age dance company of its kind in North Carolina — members range from ages 9 to 90+. Sure, we know dance is a great way to exercise and stay fit, improve health, build confidence, meet new people, lift your mood...blah, blah, blah. Well this work seeks to share with you what researchers have found all over the world: the top 10 reasons NOT to dance. This work is dedicated to Rainbow dancers who have every reason not to dance yet show up anyway. Inspired by the book Braiding Sweetgrass by Robin Wall Kimmerer, a botanist and a citizen of the Potawatomi nation, our dance is an expression of gratitude for Mother Earth. In the Potawatomi language, emingoyak translates as “that which has been given to us.” With reverence and a desire to protect these gifts, we dance in her honor. This piece is inspired by the crumpled, floating, ripped and pulpy qualities of paper. 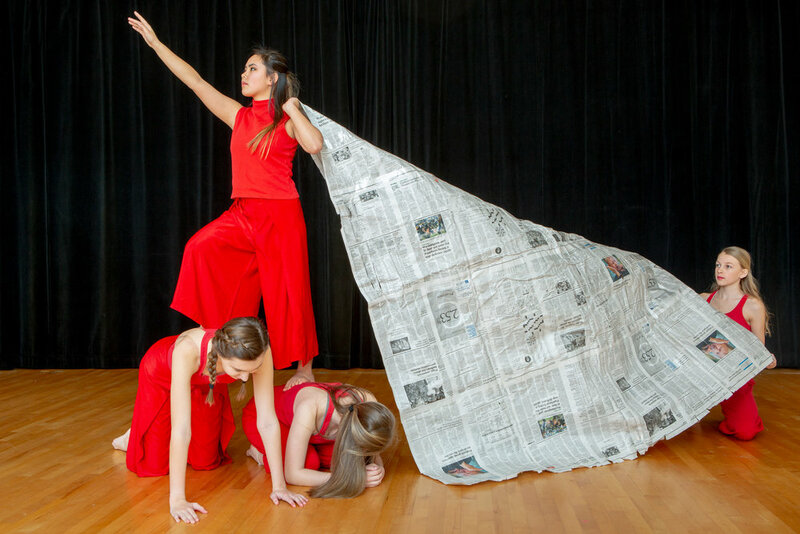 We used newspapers (appreciating it’s loaded symbolism) as a means to create movement and imagery out of an ordinary, albeit now slightly anachronistic, object. Have you ever been so consumed with the problems of the world, or your own problems, that you forget to be present? Maybe you have missed moments of joy that were happening all around you. In this piece, we challenged ourselves to break down barriers, remove distractions and notice small moments of joy. The ancient Greek story follows an overconfident youth who flew too close to the sun, despite his father’s warnings. This message symbolizes how we need to learn from our ancestors and apply it to our current situations as to not make history repeat itself, as it inevitably does. This way, we can use these lessons to rewrite history. Much like a heartbeat, time passes uniquely for individuals based on their lived experiences. This piece explores our perception of time and the relationship between the past, present and future. How do we stay grounded in reality while dreaming of a brighter future? Be sure to get your concert tickets in advance since prices go up at the door. Advance ticket sales end Friday, March 1 at 3:00 PM. 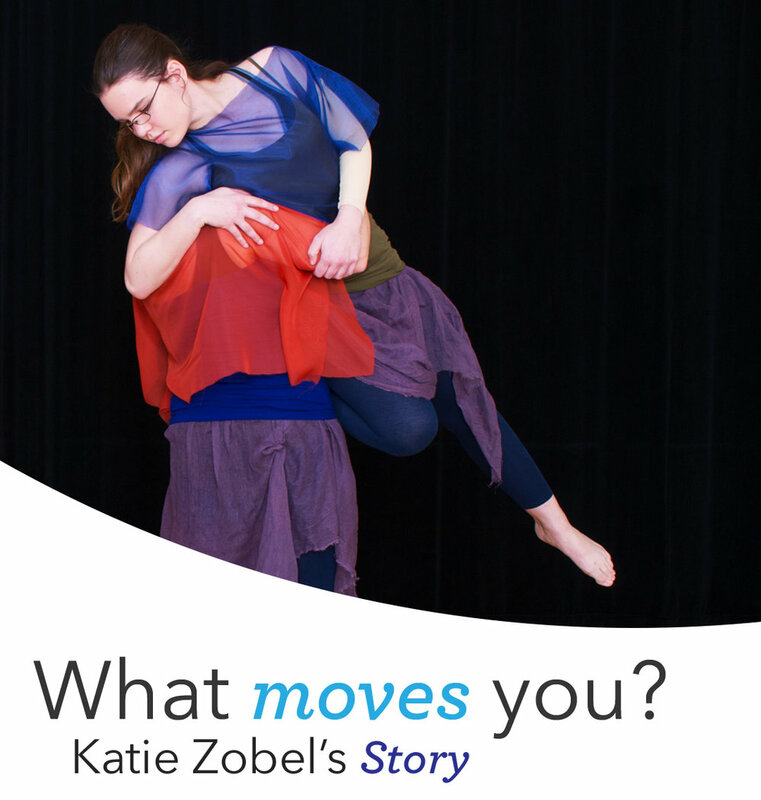 Note: Katie Zobel is a long-time dance student of Arts Together and many of you may know her personally. She is an incredible individual and this is her inspirational story as told by her. I am moved by Arts Together’s community — people who have walked by my side through moments of joy and moments of struggle. Since I was three-years-old, dance has been a large part of my life. It all began in Kathryn Auman’s Dance Play class, which led to ballet then modern. At age 10, I was invited to join Rainbow Dance Company, an incredible group of multi-age dancers. I loved that any given year you could be dancing in Wonderland or in a vintage swimsuit. One afternoon during class, Kathryn shared that although we may be struggling or having a hard day, the amazing thing about Arts Together is you can leave everything at the door and just dance. That statement has stuck with me and little did I know how it would help me throughout my life. In 2010, I was in a gym class accident that resulted in a brain injury and disease called Chronic Regional Pain Syndrome. Kathryn and other Arts Together teachers helped make dance an inclusive place for me until there was too much possibility of additional injury. The doctors at this point recommended I take a sabbatical. During my hospitalizations and treatments that followed, I still had friends and support from my dance family due to the amazing community Arts Together cultivates. Over the next few years as my disease progressed, I had the privilege of making special appearances in several Rainbow pieces. Kathryn worked with my mom (many times without me knowing) to subtly modify choreography so I could continue my involvement in dance. When I reached my senior year, I asked for something that could have easily been denied: to choreograph and dance in my senior piece for the Rainbow concert. This has been a rite of passage for all high school senior dancers. Somehow, with help from Kathryn and my best dance friend Natalie, we made it happen despite my medical limitations. KATIE (RIGHT) WITH HER BEST DANCE FRIEND NATALIE. ABOVE IMAGE: KATIE ZOBEL PERFORMING IN THE RAINBOW DANCE CONCERT HER SENIOR YEAR. I will always be thankful to everyone who helped make that senior year of dancing possible. Dance has always healed me, and this year, I have found my way back to Arts Together to dance with Kathryn again, even though I’m now in a wheelchair. Once a week, I drop my worries at the door and just dance. Arts Together is such a special place. If you’ve ever left your worries at the door, would you make a gift today? Note: This blog was originally featured on our old website several years ago and didn't make the transition over to our current site. Although it was published on August 27, 2014, we felt it was a good time to re-share Executive Director Meg Revelle's poignant thoughts on the "wave window," used by preschoolers and their parents each year. OUTSIDE VIEW OF THE WAVE WINDOW AT ARTS TOGETHER. This window has special meaning this time of year as it symbolizes so much more than a reassuring wave between preschooler and parent. Early in the year, there may be tears or sadness in leaving…but our preschoolers are quickly encouraged by devoted teachers and soon engaged in rich multi-arts experiences. They are busy, busy, busy! Children look to us for cues on how to respond. I sometimes watch the parents after you wave to your child. The parents of the older children (you’ve been through this before) smile and look relieved, off to your day or a few fleeting hours to yourselves…I’ve even seen a few of you skipping! But to those parents who stand there for a moment, look a little shell-shocked or disoriented, it can be quite different. The parents that look anxious as they wave sometimes leave anxious children. This may be the first time you have left your child in the care of someone else. Questions flood your mind: Will my child be treasured? Will they be comfortable in their own skin? Will they grow, imagine, learn to fit in, express themselves? Will they play well with others? Will they be confident and have fun? Will my child be okay? Will I? INDOOR VIEW OF THE WAVE WINDOW. Yes, they will be okay, and so will you. It’s not always easy. We all struggle. Sometimes you just need a hug or a listening ear. Trust the process. Expect success. This will be one of many turning points in the cycle of life with your children. We typically think of a window as an opening, a place for air or light to enter. Another way to think of a window is a “period of time,” like a window of opportunity. A beginning. An end. In the grand scheme of things, this preschool “window” will be a very short time. Savor it. Late August is always a poignant time of year for me. Last year this month, I waved to my 23-year old daughter as she drove a U-Haul out of our driveway to a new job and apartment in Vermont. She grew up “making a shape” in the Arts Together dance studio and is now shaping her life while still carrying the values she learned here. A few days ago, I waved as I put my son on a plane back to college to begin his senior year. It seems like yesterday when I left him in his dorm room as a freshman…him, eager for me to leave so he could go meet his new friends. Me, trying my best to be brave and hold back the tears until I at least got in the stairwell. Turns out there was a window there to look out and gain some perspective — on the present and the future. I hope you and your family will find a home here at Arts Together. Stop at the wave window just long enough to smile, wave and give thanks. Carter Crew has been dancing at Arts Together since the age of three and has been a member of the Rainbow Dance Company for 10 cumulative years, which holds a special place in her heart as the granddaughter of Lemma Mackie, Arts Together’s founder. 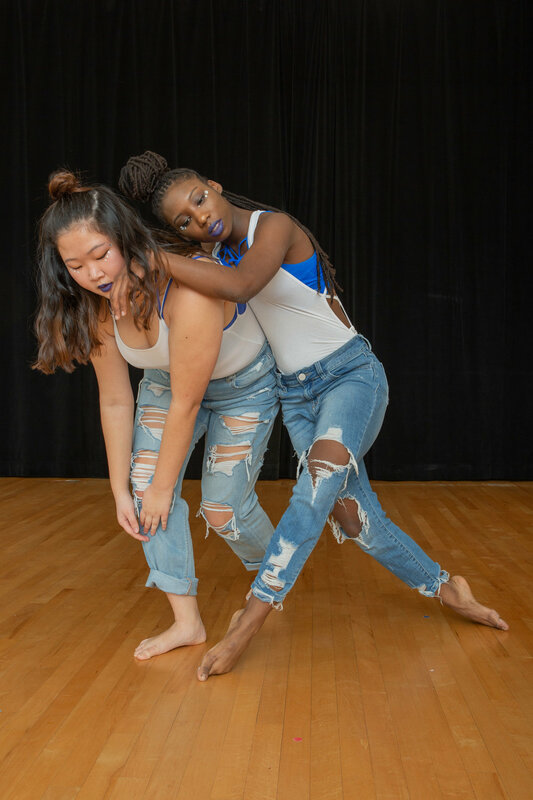 She has studied modern dance, ballet, jazz, hip hop, safety release technique and contemporary at Arts Together, NC Dance Institute, American Dance Festival, UNC-Chapel Hill and UNC-Greensboro. 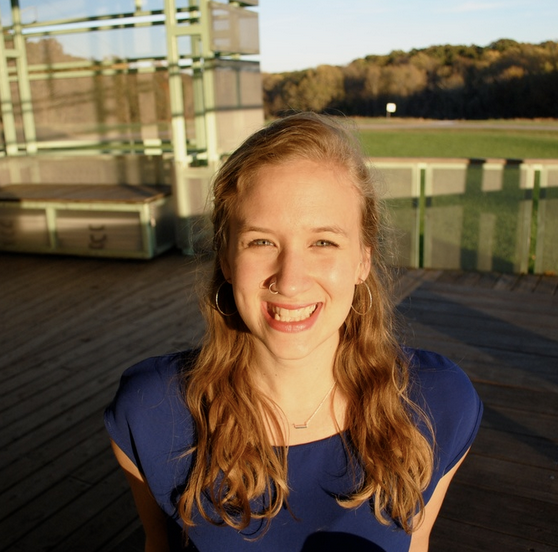 Currently a graduate student in the UNC Gillings School of Global Public Health, Carter is excited to have classes of her own this fall and can't wait to meet her dancers! SIGN UP for Carter's class: Hip Hop Kids (ages 7-9) on Saturdays! 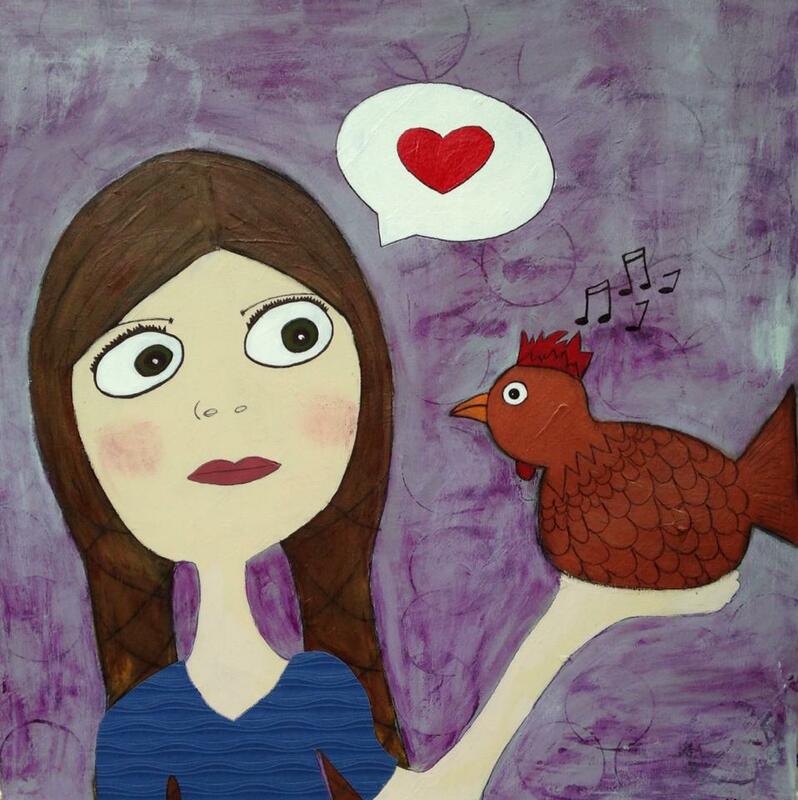 Susan Comer Fisher is a native of Raleigh and grew up singing and dancing at Arts Together. 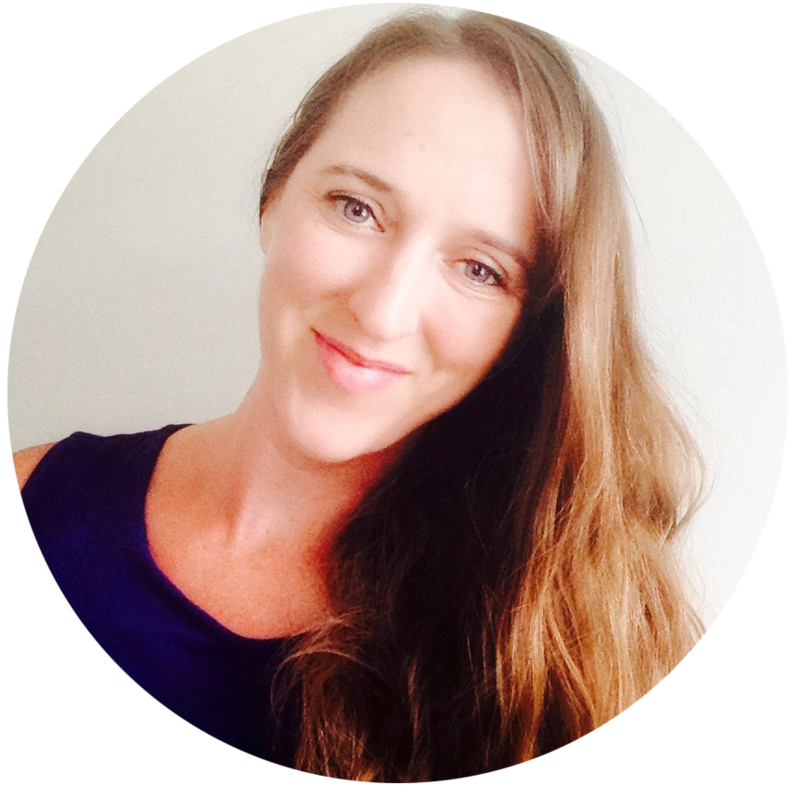 She has a bachelor's degree in music from Northwestern University, a master’s degree in theater education from New York University, plus a master's degree in special education; however, Arts Together was her first arts school, and she is thrilled to be teaching at such a special place. With over 15 years in arts education, Susan specializes in creating collaborative experiences where ALL children are able to enjoy the magic of the arts. SIGN UP for Susan's class: Multi-Arts Sampler (ages 3-5) on Fridays! Diandra Jones is a world-ranked competitive-turned-professional Irish Step Dancer who toured North America and Europe for five years with Trinity Irish Dance Company, before studying and teaching multicultural dance forms. She has guest taught at universities and performing arts institutes throughout the US as well as in Dominica, Barbados, Argentina, Ghana, and the US and British Virgin Islands, where she most recently worked as a choreographer, dance scholar, performer and teacher. Diandra is also a yoga and pilates teacher, writer, musician and performance artist and is thrilled to join the faculty at Arts Together. SIGN UP for Diandra's World Dance Workshops (ages 16+) on Thursdays! Misty Santos attended Southeastern College in Wake Forest where she studied music and early childhood education. Her career with children began after she was a mother and decided to open a licensed, in-home daycare to afford her the opportunity to stay at home with her own children. From there, she went on to work as the Assistant Program Director for the Salvation Army’s after school program in Raleigh, to teaching preschool for four years, then becoming a full-time nanny and now coming back full circle to teaching preschool at Arts Together. Misty is married with three adult daughters and a wonderful granddaughter. In her spare time, she enjoys spending time in the mountains, cooking, gardening and being with her German shorthaired pointers. 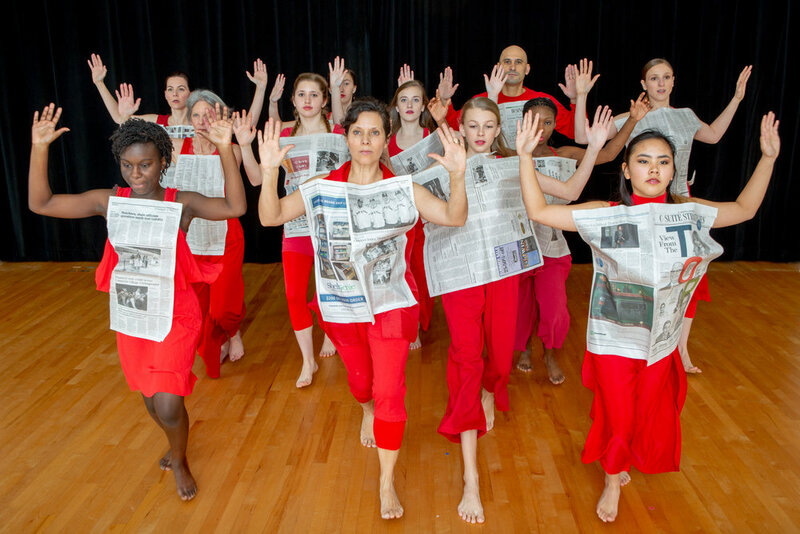 Megan Mazarick is a choreographer, teacher and performer. Growing up, she took dance classes with her mom at Arts Together. As a choreographer, she makes work that is humorous, political, theatrical and personal, often including a stop-motion physicality and love of fantasy. She has shown work internationally (Singapore, Bulgaria, Egypt, Poland, Australia and Hungary) and throughout the US (Philadelphia, San Francisco, Minneapolis, New York City and others). As a performer, she has worked with Susan Rethorst, Keith Thompson, Marianela Boan, Merian Soto, Anonymous Bodies and members of Lower Left. 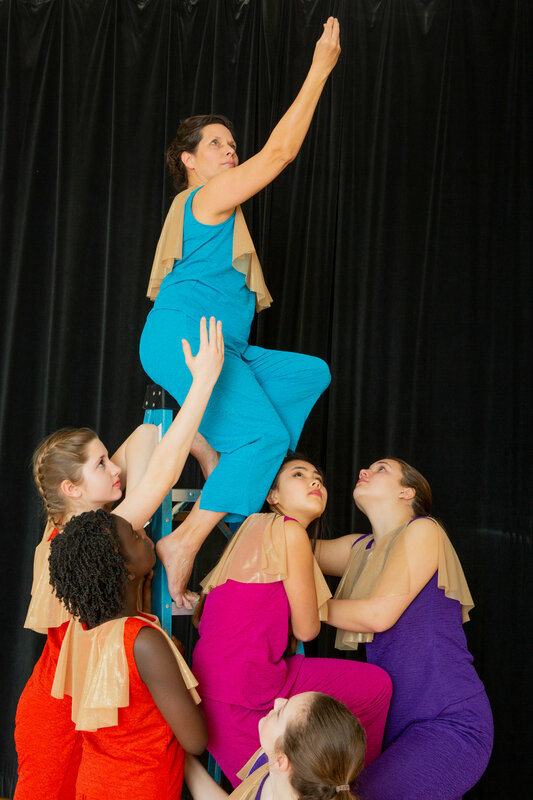 Holding a BFA and MFA in dance (University of North Carolina at Greensboro and Temple University), Megan has also taught technique, improvisation and composition classes at studios, festivals and universities around the globe. SIGN UP for Megan's classes: Pre-Ballet & Pre-Jazz (ages 5-7) on Wednesdays and Int. 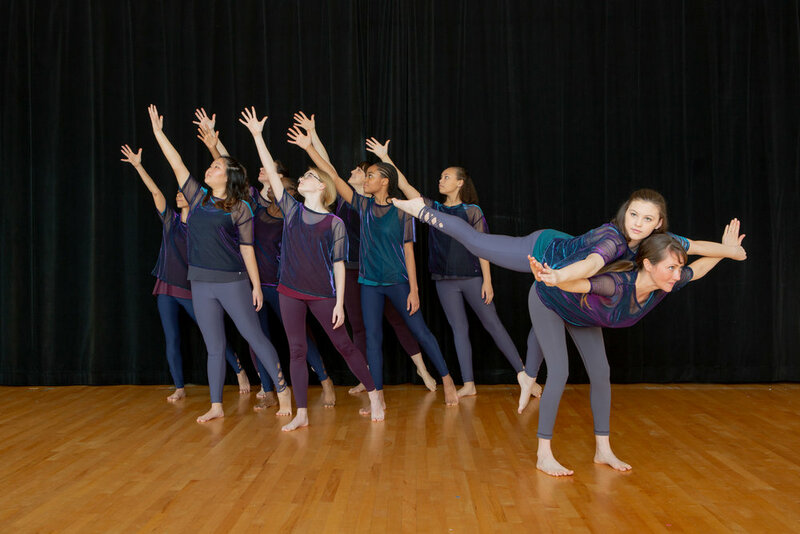 Teen Modern Technique (ages 13-19) on Mondays! Steven James Rodriguez Velez was born in Cabo Rojo, Puerto Rico, and grew up studying Karate, Judo and Kong fu. He became recognized in black belt at the age of 13, and it was then that he decided dancing was his passion. Steven moved to San Juan in 2004 to study dance at the Rio Piedras campus of the University of Puerto Rico and discovered his love for contemporary movement while working under Petra Bravo, founder and artistic director of Hincapie. Later, he was invited to join Hincapie as a company dancer. In 2009, he joined the company Andanza and worked with respected choreographers from Puerto Rico, Spain, Brazil and Canada. In 2015, Steven moved to North Carolina and began working with Ronald West, dancer and founder of Black Irish Dance Company. Since then, he’s joined several other dance companies in the Triangle, including Blackbox Dance Theatre. Steven instructs dance classes at The School of Carolina Ballet, Ninth Street Dance Studio and others, and is excited to be teaching this year at Arts Together! SIGN UP for Steven's classes: Beg./Int. Ballet (ages 10-14) and Int./Adv. Ballet Technique (ages 14+) both on Thursdays! We are pleased to announce that Sherri Pekks has been promoted to Arts Together’s full-time staff as Lead Multi-Arts Preschool Teacher and Assistant Summer Camp Coordinator! Sherri has been an integral member of our preschool faculty for over five years but has more than 10 years teaching experience. 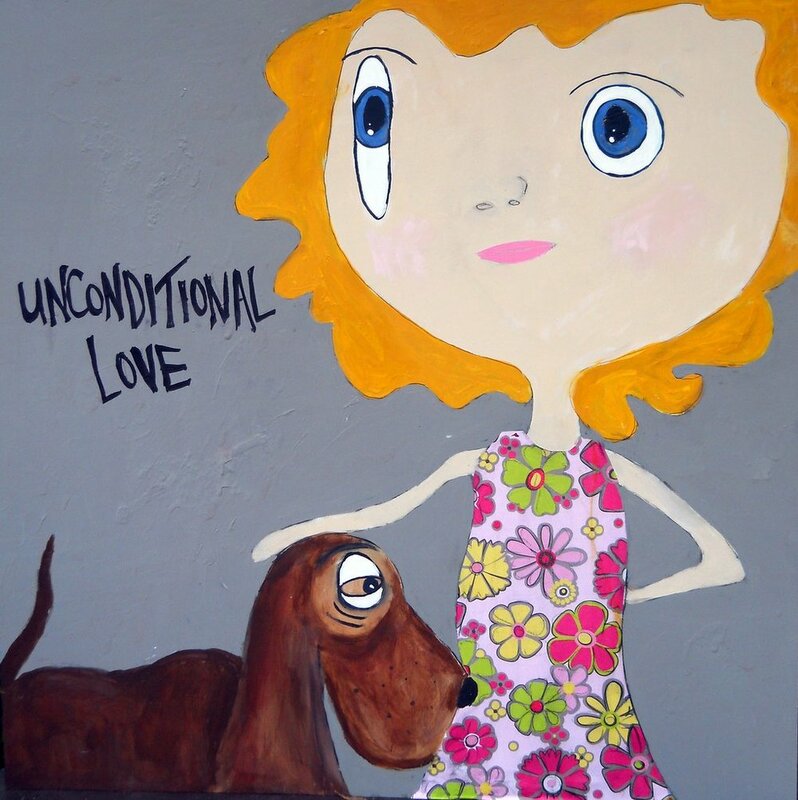 She holds an Associate of Arts degree in Early Childhood Education from the University of North Florida and has taught at preschools in both Jacksonville, Florida and Raleigh before working at Arts Together. Sherri is skilled in both theater and art, and in her new role will continue to teach drama in the preschool program and lead summer camps in art, theater and multi-arts, in addition to supporting our Director of Preschool and Summer Programs in administrative tasks for the preschool and summer camps. Sherri will also coordinate our popular Counselor-In-Training program. Her new responsibilities officially began on August 20. Many of you know Sherri, but we wanted to give her a proper introduction. Read on for Sherri’s reflections on teaching preschoolers and her creative journey in theater and art, plus how Arts Together helped turn her into a Harry Potter fan! Her love for gardening and animals (her family includes two dogs, two cats, two love birds, seven chickens and one bearded dragon!) also shapes her identity. What inspired you to become a preschool teacher? When I received my Associate of Arts degree in Early Childhood Education, I continued on as an English major, because at the time, I wanted to teach high school literature. When it was time for my internship, I was placed in a 7th grade English class at an inner-city school. The experience was scary and eye opening; I wasn’t ready. I completed the internship, but my eagerness to be a high school educator had faltered. In an attempt to compromise, I switched my English major to Elementary Education. I soon married and began a family. When my first daughter Paisley was one-year-old, I was offered an opportunity to teach preschool and bring her with me. It worked out well, so after my second daughter Opal was born and a two-year attempt as a stay-at-home mom, I continued teaching preschool to be with my children. I thought I would age up and follow the girls to elementary school, but it was obvious early on that I had found my fit. I’ve been teaching preschool for more than 10 years now, and I still feel challenged, excited and confident in my decision. You primarily lead drama classes at Arts Together but have also taught art related projects too. What’s your personal journey been like in these creative outlets? In high school and early college, I was very active in theater, participating in a variety of shows and competitions. As adult responsibilities caught up with me, I was unable to balance it all and stopped performing. Other than my many cameos in preschool productions, I haven’t been back on stage. I tried searching for other creative outlets but nothing stuck. Eleven years ago, when we moved to North Carolina from Florida, I took a beginner stained-glass class in hopes of making new friends and having some “me time.” I didn’t know how much that hands-on art form would change me. I became a proficient stained-glass artist and then felt a strong desire to paint. I started painting these big-eyed, weird and whimsical faces, which led to many intense, and sometimes heartbreaking, pieces based on the drama of everyday life. Being able to tap into another realm of myself has been a strong catalyst for my versatility in both drama and visual art. Many times, you can’t have one without the other; they’re perfect companions. SHERRI IS A TALENTED VISUAL ARTIST. THESE FOUR PIECES ARE JUST A SMALL SAMPLING OF HER LARGER BODY OF WORK . Why do you love teaching drama to three-to-five-year-olds? For some kids, performing is second nature, especially at this age when they’re still so uninhibited. Their participation is enthusiastic and imaginative, but for other children, drama class can be a struggle. These preschoolers are quite reserved, and watching them evolve is really something special. Slowly, they begin to see drama class as a safe and nonjudgmental space, becoming liberated as the school year progresses. I quietly rejoice inside when their hand shoots up after I ask “Who would like to go first?” Each personal hurdle they overcome adds another brick to their foundation of self-confidence. I am so thankful for the opportunity to be part of that process. Can you share a favorite moment you’ve experienced with your preschoolers? I have a chicken coop, and this past spring, I was able to give one of my broody chickens, Big Mama, 12 fertilized eggs to sit on in hopes of baby chicks. In class, we counted down the days and kept our fingers crossed. I shared many photos and stories of what was happening in my coop, because two other hens, Little Bantam and Lady Leghorn, had decided to help Big Mama with her mothering duties. At one point, they were all three sitting on the eggs. Talk about some serious chicken drama! Twenty-three days into the incubation, three chicks hatched. We were all so excited! I honestly couldn’t believe it, since I had tried to hatch eggs the year before with no success. It was very cool to share that experience with the kids. BIG MAMA (BOTTOM) GETS SOME COMPANY. THIS ADORABLE CREATURE WAS ONE OF THE THREE CHICKS THAT HATCHED. You’re a big Harry Potter fan, but I never realized Arts Together played a role in this. Can you explain? I would never guess that I’d be known for an obsessive love of a fantasy-based, children/young adult book series. Last year, I was asked to help out with our upcoming summer camp Wizard World. Since wizarding wasn’t my thing, I needed persuading and reluctantly agreed. I began my “research” for the camp by binge watching all the Harry Potter movies. I was instantly hooked. I then read the entire series while re-watching each movie after I finished each book. To round it out, I even listened to the audiobook versions. What can I say? The magic is real, y’all! Beyond your love of theater, art and Harry Potter, I hear you have quite the green thumb! Yes, gardening is a big part of my life. I’m most content when I’m in my yard. I try to practice a sustainable system in which everything serves a productive purpose. I have compost bins and towers, rain barrels, a chicken coop, worm bins, fruit trees, bushes and vines, veggies, herbs, and ornamental and pollinator friendly flowers. I like how the different parts support one another to complete the big picture of my outdoor space. Nature never fails to amaze me. SHERRI LEADING HER PRESCHOOLERS IN A FUN EXERCISE. SHERRI'S CLASS CELEBRATES THE CHINESE NEW YEAR WITH A DANCE. What are ways you cultivate your own creativity outside of Arts Together? I love to piddle. There is nothing better to spark ideas or allow my imagination to flow than just aimlessly wandering around the comforts of my home and yard. In the time it takes me to pick up fallen sticks or relocate a stack of bricks, I’ll have problem solved whatever obstacle I’m trying to work through. I also seek out the quiet to ponder and reflect. Being a preschool teacher and having an extremely loud house with two teenage girls and a range of needy animals, those moments are precious. Thank you, Sherri, for allowing us to get to know you and your passions better. You bring so many unique gifts to Arts Together! Photos courtesy Sherri Pekks and Arts Together. When Jessi Tilden enters a room, she fills it with light, boundless energy, and an outgoing, joyous spirit, instantly making those around her feel at ease. Her blue eyes radiate a mischievous glint, while simultaneously exuding a sense of peace and calm. Jessi has been a beloved and integral staff member at Arts Together since 2013, and we’re sad to share that she’ll be leaving us to pursue new opportunities. A multi-talented individual, Jessi has advanced from preschool teaching assistant to lead preschool teacher, and has overseen the growth of our Counselor-in-Training program as well as expanding professional development and leadership skills for incoming summer camp counselors. In addition, she has taught many dance/movement classes for all ages, been a member of Rainbow Dance Company since 2014 and served as Rainbow choreographer. 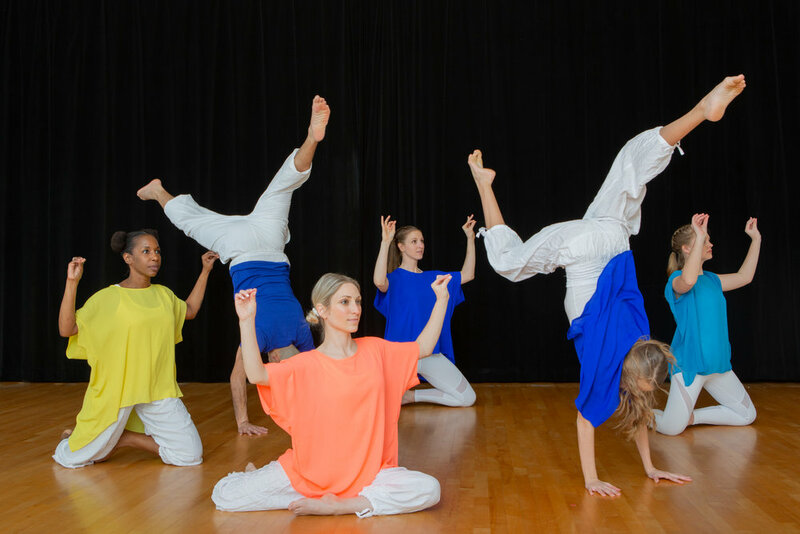 Her last day as our Youth Development Coordinator will be August 17, but we wanted to send her off in style by sharing her unique Arts Together story and reflections on dance. 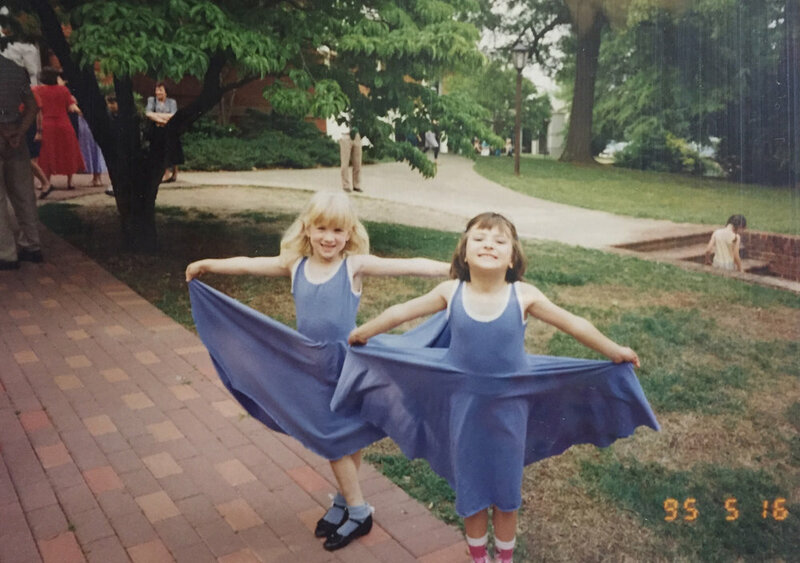 JESSI (RIGHT) WITH HER DANCE TEACHER MAGGIE BENNETT DURING ARTS FEST, 1995. SHE PROUDLY DISPLAYS HER DRESS IN THE BOTTOM RIGHT IMAGE. JESSI AT AGE FOUR WITH HER MOTHER AND BABY SISTER. JESSI TEACHING THE YOUNG THREE'S IN OUR MULTI-ARTS PRESCHOOL. JESSI'S 2018 COUNSELORS-IN-TRAINING COMPLETED THEIR ORIENTATION. JESSI (CENTER) PERFORMING IN THE 2017 RAINBOW DANCE CONCERT. 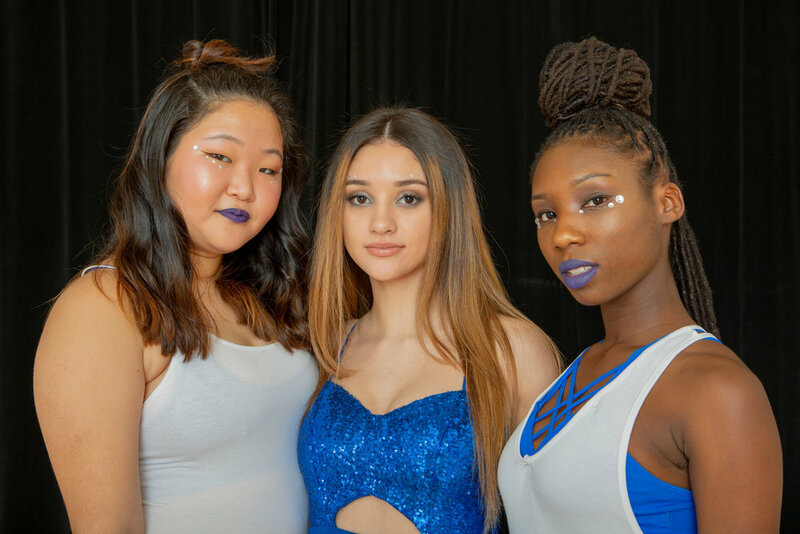 JESSI (CENTER) DOING PARTNER WORK IN THE 2018 RAINBOW CONCERT. The excellent technique Jessi learned during her classes at Arts Together provided a strong foundation for her further expansion in higher education, but the sense of confidence and community instilled in her from her time at Arts Together proved to be invaluable. JESSI (RIGHT) REHEARSING WITH BLACK BOX DANCE THEATRE - ANOTHER LOCAL COMPANY SHE DANCES WITH. Jessi has positively impacted so many individuals during her period as a staff member, from preschoolers and dancers of all ages to summer camp counselors and adults. We will greatly miss her, but as we see her off to exciting, new ventures, Jessi sums it up best. "I am so thankful for the multi-generational options open to everyone. I started at Arts Together when I was three, had to step away for a bit, and then came back. I have known many other individuals who have come back and been received with open arms. The revolving door at Arts Together has helped make this nonprofit such a Raleigh staple, and I am endlessly grateful for all the lives it has impacted, and continues to impact." Archival images courtesy Jessi Tilden and Black Box rehearsal image courtesy Black Box Dance Theatre. Katie Padgett Brown is a nationally renowned tap dancer, choreographer, and instructor, and we’re lucky to have her as part of our faculty. She joined Arts Together this past September, but you would never know she’s one of our newest teachers – she effortlessly fits in with our creative, collaborative culture. Her accomplishments are many. She has taught at dance studios in Virginia, Maryland, Kentucky, and North Carolina, and was invited to perform in the annual Kennedy Center Gala twice. Katie has also performed at New York City’s Lincoln Center in Broadway’s Greatest Showstoppers with the New York Philharmonic Orchestra, conducted by Marvin Hamlisch. Her students have gone on to dance with The Julliard School, Mark Morris Dance Group, Boston Ballet, various Broadway shows, and numerous college dance programs. a natural ease. 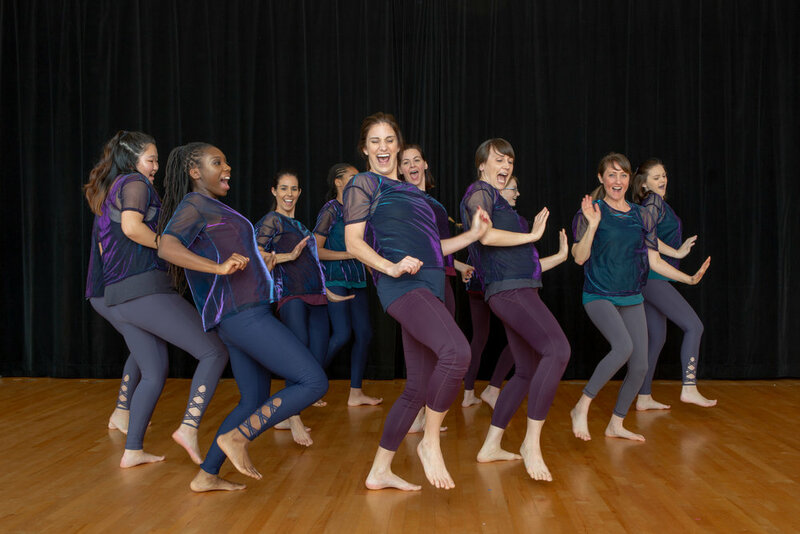 Katie currently teaches Shake, Rattle N Roll and Multi-Arts Mornings for 3-to-5-year-olds, but this summer, she’s leading a brand new tap dance camp called Tap to the Beat for our Junior Sparks (ages 6-8) at Raleigh Charter High School in July, which she shares more about below. Growing up in a musical family, she recalls her parent’s support and encouragement to pursue dance and creative ventures being influential in her life. 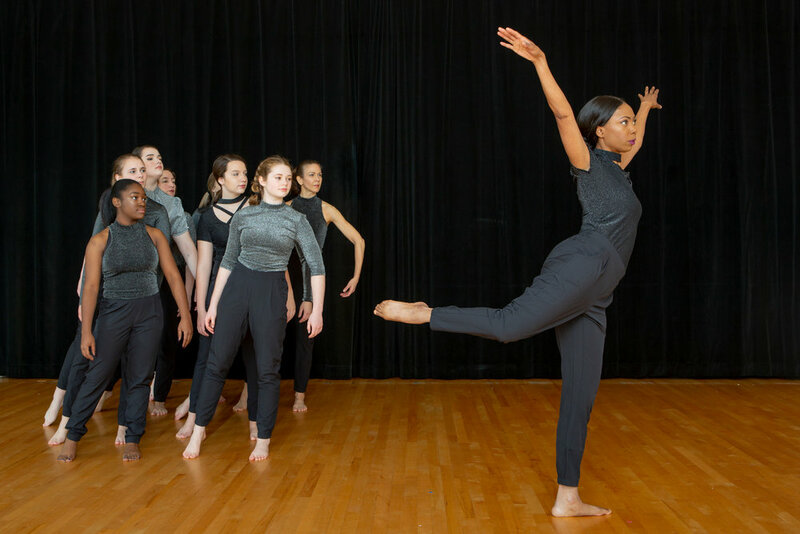 Read on for more of her reflections on creative expression, dance, her students, and upcoming summer camp Tap to the Beat. DANCING AT WOLF TRAP FOUNDATION FOR THE PERFORMING ARTS. How and when did you become interested in dance, especially tap dance? I started dancing in Kindergarten. I wanted to be just like my big sister, who was about 12 at the time. I began in a combo class of tap and ballet, and started taking jazz in third grade and other styles in middle school. From the time I started, tap always appealed to me. I think I liked making noise, but the rhythm and structure of tap also appealed to me and always just clicked. I became more focused on tap in college when I had the opportunity to study it with Gene Medler at Elon College (now Elon University). A new world of possibility within tap was opened up to me, and my hunger and love for the dance grew rapidly. KATIE IN A TAP MASTERCLASS AT ELON COLLEGE LED BY VAN PORTER. What has your professional journey looked like in dance, choreography, and instruction? It's actually quite a coincidence of “right time/right place.” I had graduated from college (with a music degree), was living in Durham, had rent and bills to pay, and no job. I picked up the Sunday paper for the classifieds and found a listing that said “Tap Dance Teacher Needed. Call for Info.” I called, had an interview and demo class the next day, and was offered a part-time teaching job the following day. From that time on, there was no doubt that I wanted to continue teaching, and I haven't stopped since! 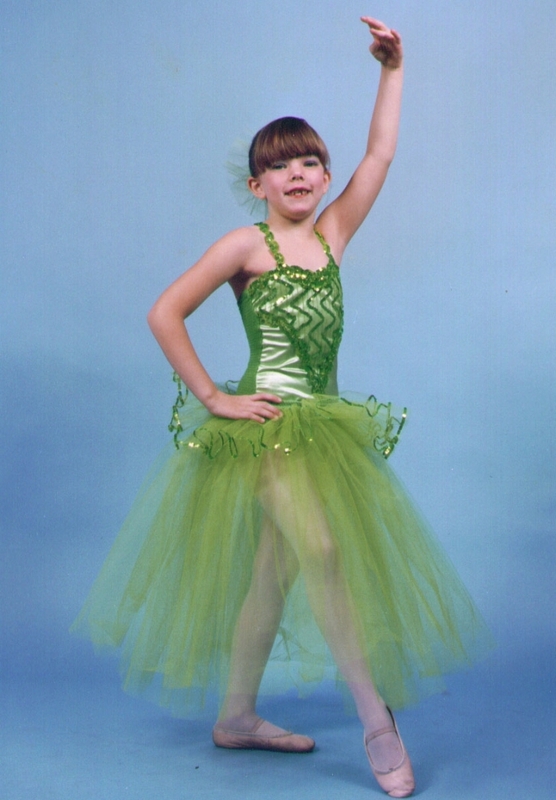 PREPARING FOR HER BALLET RECITAL GREENSLEEVES AT AGE 8. KATIE IN KINDERGARTEN JUST STARTING DANCE. How did you become involved with Arts Together? I relocated to the Raleigh area in the summer of 2017. Prior to that, I was living in the suburbs of Washington, DC, teaching at two studios – one in Virginia and one in the District. I worked with Meg's* daughter, Sarah, and when she heard I was moving to the Raleigh area, she immediately put us in touch. I started teaching for Arts Together in September of 2017. *Meg Revelle is the Executive Director of Arts Together. What excites you most about your summer camp Tap to the Beat from July 23-27? I’m really excited to bring tap dance to Arts Together! I think the kids will enjoy the rhythmic side of this dance form, and who doesn't like to make noise? Can you describe your instruction style? I fully believe that all students can succeed if they are given the proper tools. I like to give the dancers many different ways to think about what they're working on. What part of the foot are we using? How can our posture or stance help or hinder the execution of the step or skill? What's the rhythm? How do I count this? What sound am I creating? Am I using the right or the left? Is it loud or soft? I encourage the dancers to do a lot of compare/contrast work and to explore the right and wrong way to do things. This way they understand how and why we do something a certain way, instead of just mimicking what I’m doing. Though that's definitely part of it! KATIE INSTRUCTING OUR MULTI-ARTS MORNINGS CLASS FOR CHILDREN AGES 3-5. IN THE VIDEO BELOW, SHE LEADS THEM IN A FUN MOVEMENT EXERCISE. What can parents and youth expect from this camp? Loads of fun! We'll work on technique, study several important figures in tap dance, watch footage of famous tap dancers, and create our own choreography. We’ll also work on some traditional tap repertoire, such as the Shim Sham and the Coles Stroll and Walk Around. What are tap’s unique attributes that make it stand out from other dance genres, like ballet or modern? Goodness, where to start! There's the obvious points – the shoes and the rhythm. But I love tap, because it is truly for anybody. Tap master Honi Coles once said, “If you can walk, you can tap dance.” I truly believe this. I've had students as young as 3 and as old as 73 who have connected with this American art form. Tap dance is a bit friendlier on the body than some other styles can be, and there's definitely longevity in the art form. I also appreciate the range of styles within tap – there's definitely a style for everyone. As an instructor, can you recall a meaningful moment or poignant interaction with a student that’s impacted you? These are so plentiful. But I would have to say that I enjoy the little moments. Those instances when a student makes a connection or is able to approach a step or skill from a different perspective, either with or without prompting. Or when a student attends a performance and comes back with a fire and excitement about their classwork and study. Or when I show a piece of historical tap footage, and the student goes home and watches additional tap videos on their own. I love feeling that connection and sharing my passion with the dancers. KATIE WITH HER YOUTH TAP ENSEMBLE AT JOY OF MOTION DANCE CENTER IN DC. 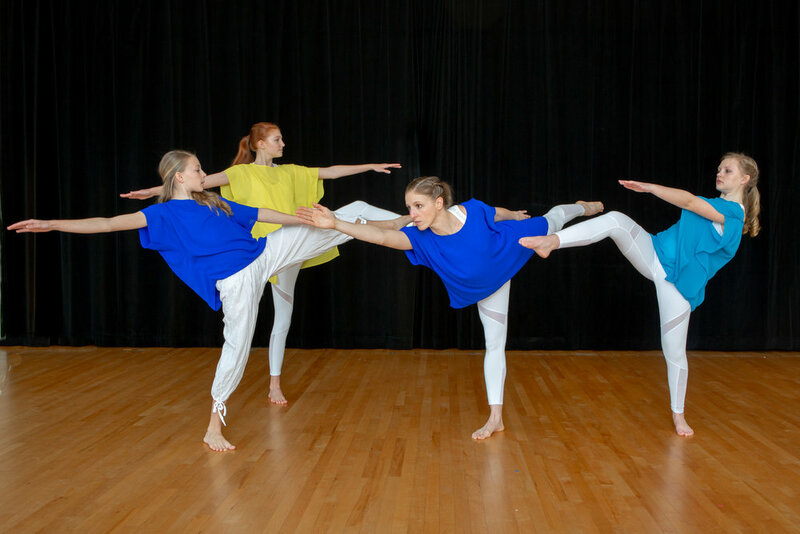 KATIE'S STUDENTS AT CUPPETT PERFORMING ARTS CENTER IN VIENNA, VA.
What are some ways you’ve seen your students grow beyond their mastery of dance skills? I love to see my students support and encourage one another. The tap community commonly refers to themselves as the “tap family,” and seeing my dancers help one another, practice with one another, and share ideas with one another is probably tops on the list. Of course, it's always rewarding when my students continue to dance in college and into adulthood. Before I moved to Raleigh from the Washington, DC area, I was dancing in a tap company based in Fairfax, VA. The company was comprised of tap friends I'd been dancing with for years, but also a few dancers who used to be my students when they were in high school. Seeing them as “grown-ups” with careers who still felt their love for and drive to be involved with the tap community always made me smile. Another former student is in graduate school in Michigan where she is working on her Masters in Music, and her research project is structured around tap dance improvisation and how it relates to music, meter, mixed meter, tempo, and rhythm. Her ability to take her love of tap and combine that with her scholarly work has impressed me beyond measure. She truly combined her passions and has been presenting her work around the country this spring. AT REHEARSAL FOR BROADWAY'S GREATEST SHOWSTOPPERS IN NEW YORK CITY'S LINCOLN CENTER. BEHIND STAGE WITH FELLOW TAPPERS TO PERFORM IN BROADWAY'S GREATEST SHOWSTOPPERS. How has creative expression impacted your life? I can't remember a time without dance and music. My parents were both very into music, and we often had music playing around the house. This ran the gamut from Gregorian Chant, to Mozart, to the Doobie Brothers, Three Dog Night, Wilson Pickett, and Aretha Franklin. I was always supported and encouraged to cultivate my own creativity, and my family really understood the value of this focus, even as a young child. Without dance and without music, I am not sure what I would do to get by. How are you intentional about cultivating creativity both professionally and personally? In our culture and society today, I think this can become difficult. An emphasis seems to be placed on being busy and being involved in many activities and hobbies. But this doesn't always line up for me with finding time to be creative and to nurture that side of myself. I try to carve out time for myself to create, not just teach. The teaching side is wonderful and incredibly fulfilling, but the personal creativity is necessary as well. I seek out opportunities to attend tap festivals, workshops, and performances. Social media and the online world has been helpful with this as well – there are many opportunities to work with others via online platforms, learn contemporary and traditional choreography from videos, and share ideas with friends and colleagues across the world. What does it mean to be part of the Arts Together creative community and what has your experience been like? Family. Inclusiveness. Curiosity. Joy. Support. Openness. My experience at Arts Together has been wonderful! Everyone is so welcoming and encouraging. From day one, it just felt like the right place to be. All photos and video courtesy Katie Padgett Brown, except multi-arts mornings image and video. Summer camps are on the horizon for Arts Together, now that spring has finally arrived! Summer is a particularly special time, because not only do we offer camps in our flagship building on St. Mary’s Street, we also partner with Raleigh Charter High School (RCHS) to hold our Summer Sparks Junior and Senior camps in their impressive facility. This satellite location allows us to provide even more multi-arts fun for 6-to-12-year-olds! Only a five minute drive from Arts Together, RCHS facilities include a black box theater, art room, music room, science lab, computer lab, picnic area, and multiple open green spaces/play areas. These additional places allow us to provide unique camp programming for our Summer Sparks that otherwise we wouldn’t be able to offer! Plus, RCHS is near Fred Fletcher Park, giving campers the opportunity to explore even more. This summer, we’re particularly excited to offer several brand new Junior and Senior camps. 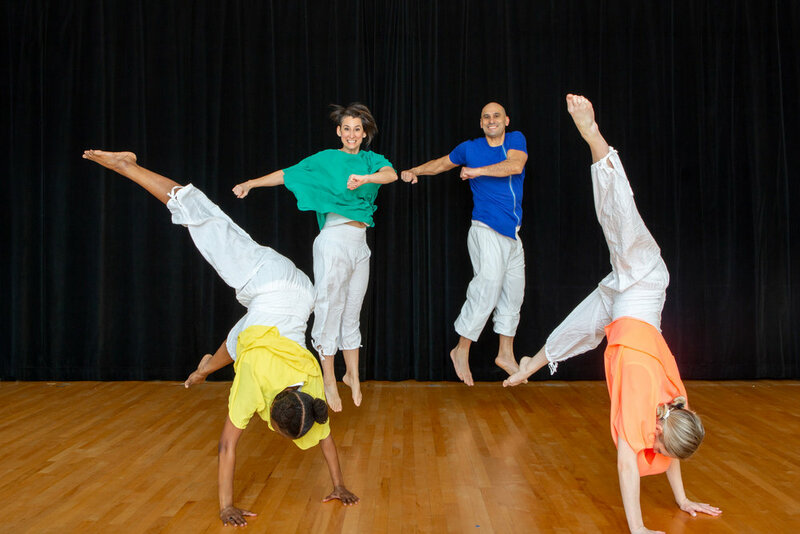 Junior Sparks (ages 6-8) can take Tap to the Beat, a tap dance camp with nationally renowned instructor Katie Padgett Brown, and Senior Sparks (ages 9-12) can express their creativity in Mini Maker by building their own imaginative, tiny worlds from everyday objects. One 10-year-old expressed her excitement about returning to camp. "All the teachers are great! I liked creating sculptures, painting, doing collages, and especially fabric design and sewing last summer," she exclaimed. "I love the Summer Sparks camps and can't wait to go back this summer!" This is often heard at Arts Together. It’s the way our preschool classes begin. It’s how most of our dance classes start—with passing the energy. Art classes come together around a table to create a project. Drama classes often conclude with affirmations in the form of a circle. Our staff meetings gather the same way – a circle of voices and viewpoints. Everyone is heard and valued. It’s how groups work best because it encourages collaboration, connection and community. It’s a circle. Not a line with a start and a finish. Not a triangle with a top and a bottom. Not a square with neatly defined edges. The symbol of a circle has “magical value as a protective agent” – it is inclusive and caring. Circular shapes connote movement, as in dance – they are dynamic, creative and active. They symbolize birth, growth, wholeness and the infinite nature of energy. Some of the first marks we make as children are “scribbles,” those rounded forms that signify the beginning of the creative process. And now, with circles, we are excited to launch Arts Together’s new brand! We involved many circles of people as we created our new brand. We began with a diagnostic survey of many of our constituents: current and former parents, staff, students, board members, community leaders and supporters. A Brand Identity Task Force was appointed that represented this larger group. We are so grateful to everyone who took the time to offer thoughts and feedback. We are fortunate to have been led by an expert strategic design team at Forma. We learned a lot over the course of this brand development process and much of what we already knew was confirmed. In spite of the very broad offerings (what we offer), Arts Together’s spirit and attitude (how and why we deliver those offerings) remains remarkably consistent and aligned, across all programs, all classes, and all ages. There is a shared understanding among our stakeholders: Arts Together is a magical place. We cultivate creativity and celebrate individuality. The challenge faced by the Brand Identity Task Force was a difficult one: how can we best communicate our culture and our shared values through a new brand? The result is simple and yet a real symbol of who we are: the main symbol includes connecting circles as the “bowl” of the lower case letter “a.” To give us flexibility, there is also a system of symbols where the “bowl” of the “a” changes depending on the program—a child’s handprint represents our Preschool Division while a silhouette of a dancer represents our Rainbow Dance Company. 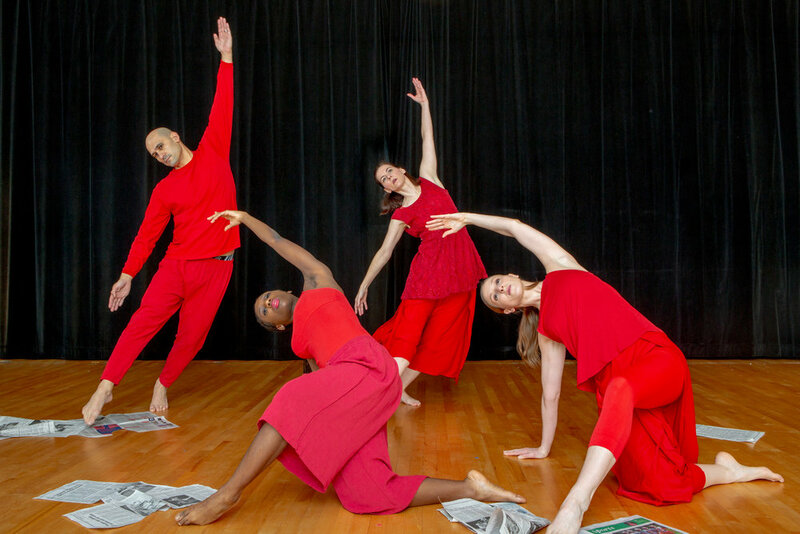 This system allows flexibility to promote a single idea, program or division, while visually and consistently connecting all components of Arts Together. This flexibility will also allow new ideas and programs to be introduced in the future. We believe our new look captures the spirit of Arts Together; who we are and who we can be. By nature a new identity/logo is empty when introduced – and therefore meaningless. It’s basically empty until we begin to fill it with meaning over time. We are already beginning to do that and I’d like to share a story with you: When our designer was looking for an image to embody the Rainbow Dance Company, we turned to recent photographs of our dance company. 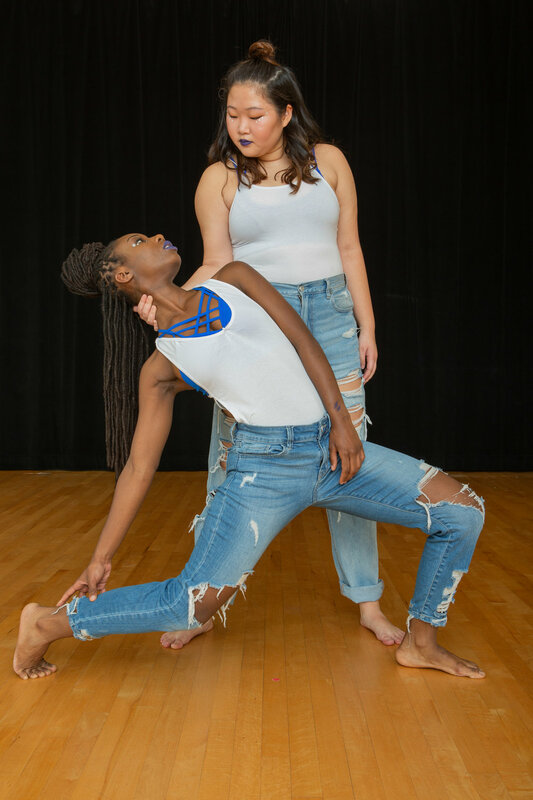 The image chosen to represent Rainbow was of Carter Crew in a piece for her Senior performance. It just so happens that Carter is our founder Lemma Mackie’s granddaughter. Another generation moves Arts Together forward. Another story is filled with meaning. Full circle—the connection we all share through this magical place. Thank you for being part of our community at Arts Together! Arts Together is funded in part by the City of Raleigh based on recommendations of the Raleigh Arts Commission. 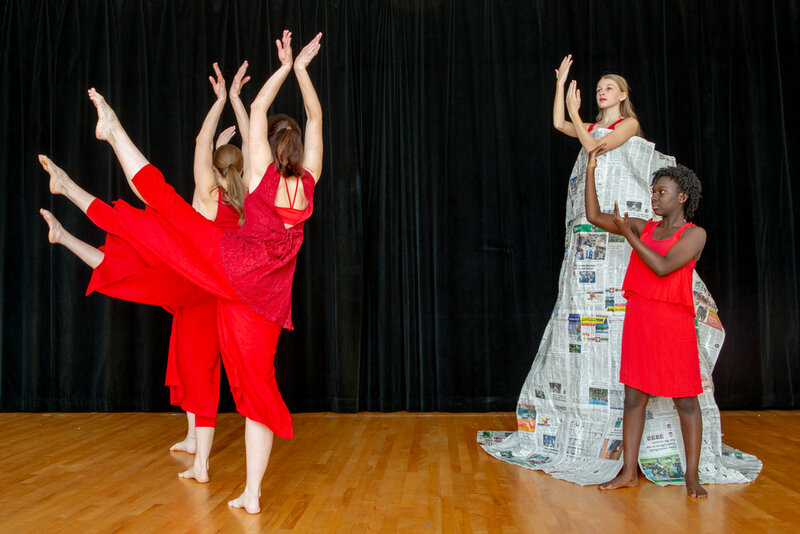 Arts Together is supported by the United Arts Council of Raleigh and Wake County as well as the N.C. Arts Council, a division of the Department of Natural and Cultural Resources.